Whether you have a problem with how Project W started or not, you still have to accept the fact that they are here. And they are causing a lot of noise. It appears that the PYA sees them as a bigger threat than Daso. Project W strongly supports “food security” and say they have collected more than 3 000 canned food items for students in need. Among other promises, they have promised to reopen O Village. They say they will bring international acts to the Freshers’ Ball and ensure that students receive their exam scripts back within 2 weeks of writing. Project W promises that they will provide for the wants of students, If what the students want is “practical and can happen in a short amount of time”. They also promise to extend library hours and reintroduce coin slots for the Kudu Bucks machines. Students say that Jamie Mighti is the only member who is vocal and constantly in the spotlight as spokesperson. Mighti is the most prominent member of Project W. Some people have even begun to call the organisation “Project Jamie”. “We are project Jamie, project Ethan, project student, project you,” said Ethan Genende from Project W.
The Democratic Alliance’s youth wing, Daso, has put forward 14 candidates clad in bright blue T-shirts in the hope of breaking the Progressive Youth Alliance’s dominance at the ballot box. 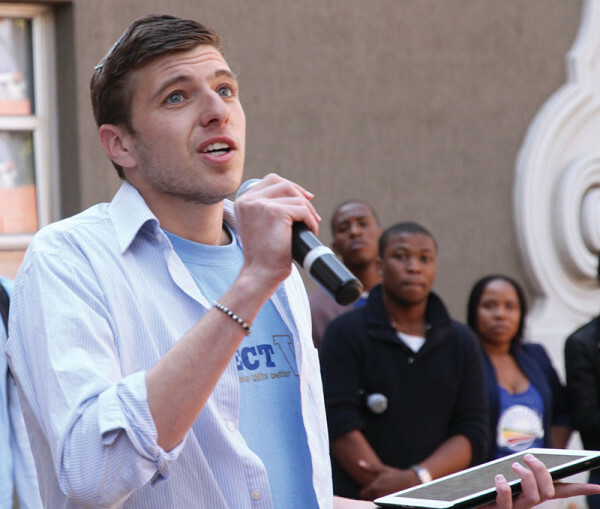 The DA Student Organisation has promised Witsies the world, or at least something close. 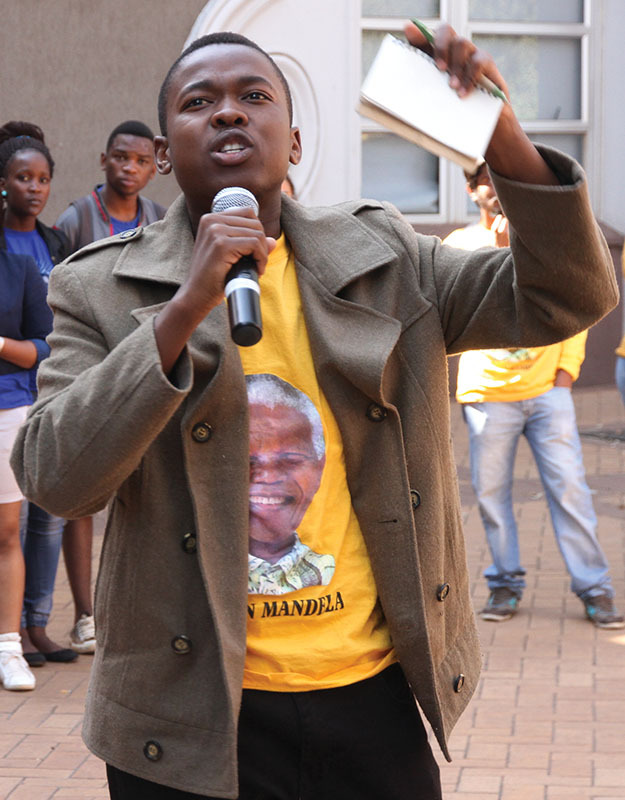 The usual promises are there: To create an SRC for all campuses; a reform of NSFAS criteria that exclude students who are “not poor enough” and a slew of improvements to residence conditions. 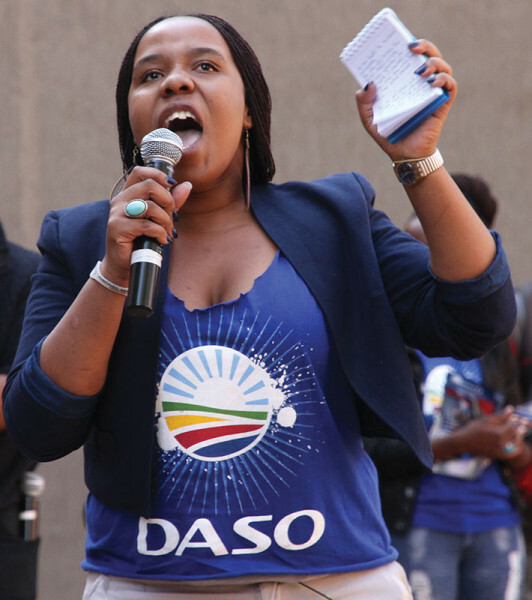 The hot potato of this year’s elections, an expanded bus system that will serve more campuses and surrounding taxi ranks, has also found its way onto Daso’s manifesto. The ambitious 18-point manifesto does contain some unique proposals such as video-recorded lectures and new mattresses for the beds in residences. One contentious promise has been Daso’s intention to create a bail-out fund for “students who may lack finances for printing, supplementary exams, text books and excursions”. Challenged on the precise amount of the proposed fund at election circuses around campuses, Daso candidates avoided going into details. To entice students to be more involved in issues on campus, the party is promising to make student politics more fun. Their manifesto promises to bring DJs and performing artists to liven up Student Forum, which is meant to be the platform for students to communicate with the sitting SRC. The Progressive Youth Alliance (PYA) is undoubtedly the most confident group of the whole bunch. One might say they have reason to be as they have been dominating the SRC for the past three years. Most of the time when they address students at the circuses they talk about what the PYA-led SRC has achieved. They promise to continue to fight fee increments and increase the budget for school councils. They also promise to improve communication with students which includes having an SRC office on medical campus where students often feel left out. They also love to sing, in fact they do so at most circuses. Project W’s Jamie Mighti has accused them of doing nothing but singing and dancing, but they make no apologies for their singing. The PYA is an alliance between the ANC Youth League, Young Communist League, South African Student Congress and Muslim Student Association. Last year they won 14 of the 15 seats on the SRC. Voting starts on August 27 and ends August 29.